Good Burger - Vegans Eat What? Vegans Eat What? 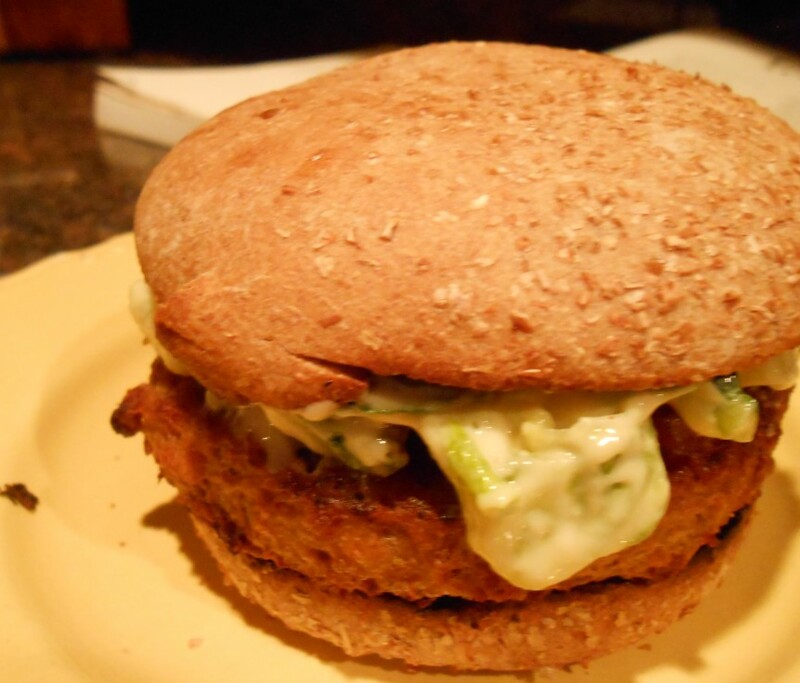 Now THIS is what a delicious animal-free burger should taste like! It's our favorite burger to grill and great for non-vegans. Get a pot and bring the broth to a boil. Pour the dried TVP in the boiling broth, mix it around and turn off the heat. The TVP will soak up the broth. While you let the TVP cool a bit, get a big bowl for mixing ingredients. Add into the bowl the ketchup, peanut butter, bacon bits, liquid smoke, garlic and onion powder and oil. (Everything EXCEPT the nutritional yeast, vital wheat gluten and TVP). Mix together then add the nutritional yeast and TVP and mix again. Add the vital wheat gluten and mix very well. Once you have mixed the vital wheat gluten into the mixture, start kneading the newly formed mixture for FIVE MINUTES (don’t skimp on this as it changes the texture!). The best technique for kneading is to get a chopping board, smush the mixture like a big pancake, then fold it back on top of each other, repeat and continue kneading for a full 5 minutes. Let the mixture sit for 2 minutes…it will thicken. Form into 5-7 patties depending on size desired. Cook each patty on a grill or grill pan … put a little oil down … cook on each side until browned and somewhat crispy. Enjoy!